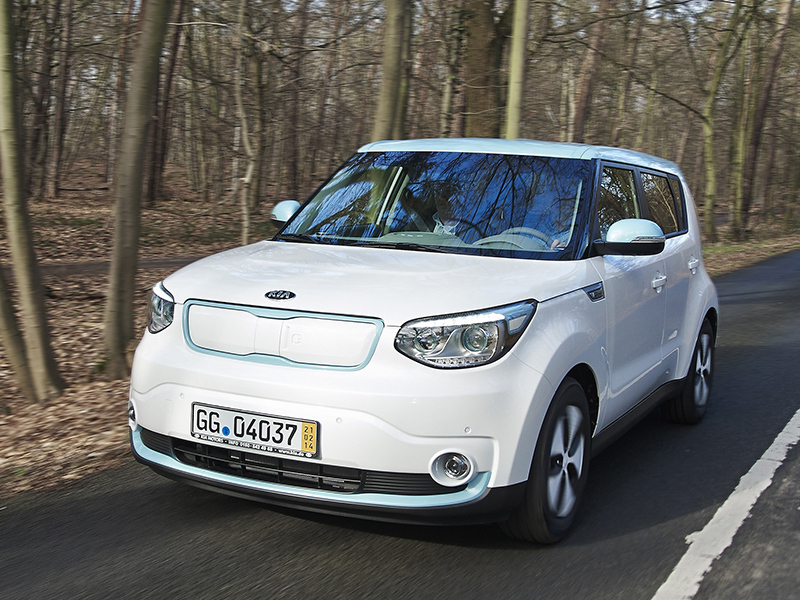 The Kia Soul EV is equipped with an advanced power pack featuring lithium-ion polymer battery cells supplied by SK Innovation. The pack, which has a class-leading energy density of 200 Wh/kg, is the result of a three-year joint development program between Kia Motors Corporation and SK Innovation in Korea. Engineers from Kia have developed the outstanding power pack featuring 192 lithium-ion polimer battery cells in eight modules, delivering a total power output of 27 kWh. The pack incorporates state-of-the-art thermal control technology to maintain individual cells at optimum temperature and structural design to enhance crash worthiness. Nickel-rich NCM (nickel-cobalt-manganese) cathode material is used in the mass production of the battery cells for Soul EV. Energy density, which is dependent on cathode capabilities, is a core performance factor deciding EV driving range. By exploiting the class-leading energy density of its battery, the Soul EV offers a driving range of 'around' 200 km on a single charge.